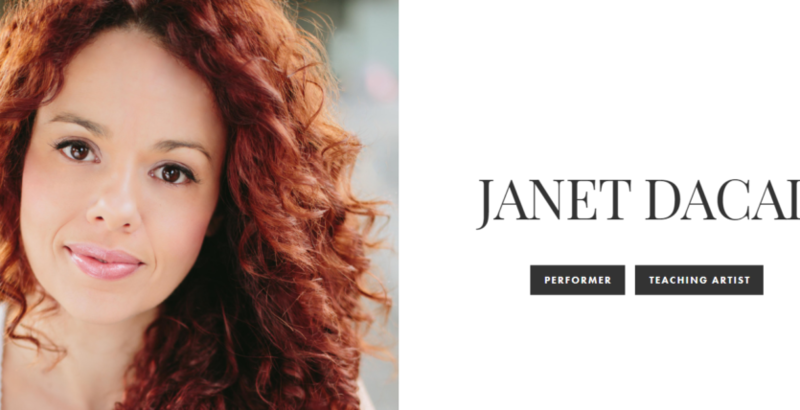 JANET DACAL has played Rosie in Bye Bye Birdie at the Goodspeed Opera House. On Broadway, she created the role of Alice in Frank Wildhorn’s production, Wonderland. She played the lead, Nina Rosario, in the Tony Award-Winning Musical In the Heights(written by the same author asHamilton) , after having originated the role of Carla in the Off-Broadway and Broadway productions. Broadway: Good Vibrations.Regional: Senor Discretion Himself (Arena Stage), The Last Five Years, Five Course Love (Carbonell nominations), Four Guys Named Jose, Annie and others (Actors Playhouse). Recordings and tours for various Grammy-Winning artists, including Jennifer Lopez, Shakira and Gloria Estefan.